Cartridge choice can create an interesting debate in all areas of shooting. From manufacturer and loads through to the size of cartridge and shot you opt for, there is a lot to consider. Ultimately, however, your choice of duck ammunition will come down to the gun and cartridge combination that best suits your needs. The best way to determine this is by testing cartridges through pattern plates or in the field. My selection of cartridges has something for everyone, whether your duck shooting is driven, over flightponds or foreshore. My personal favourite is the Gamebore Super Steel — they are fast, they pattern well and give clean kills. Times have changed since the first non-toxic shells hit the market and we are now fortunate to have a great choice from leading companies. If you are shooting steel, remember to check that your rearm and choke combination meets the correct requirements. Steel put through a gun that is not proofed for it, or through a choke that is too tight, can damage barrels. For cartridge prices, visit Just Cartridges. Bismuth is a great type of cartridge for the more traditional game gun, making them an ideal choice for driven days as they don’t follow some of the restrictions of steel shells. Eley VIP Bismuth come in 2½in shells, making them more versatile for traditional guns. They come in 34g loads with shot size 4 and 5, and use a photodegradable wad. These cartridges come in boxes of 25 like most steel, but cost more due to pricier components. A versatile cartridge that can go through any gun, but the higher price makes them a better choice for driven shooting. Hull Steel Game are 2¾in shells loaded with 32g. They come in shot sizes 4 and 5 with a velocity of 1,350fps. Hull also makes Steel Game Extra, another 2¾in 32g load, which come in shot size 4. These have a velocity of 1,400fps. A competitive cartridge for most duck shooting situations. Eley VIP Steel are a firm favourite with duck shooters. The 2¾in shells come in boxes of 25 and are available in a range of different loads and shot sizes, including 28g 5s, 32g 3s and 36g 5s. Eley says that its SSB powder excels in humid conditions, making the cartridge an excellent choice and perfect for smaller, fast-moving wildfowl such as mallard and teal. Another shell that is versatile for a range of duck shooting, from flightponds to foreshore. Gamebore 12-bore Super Steel is a high-velocity steel load that is available in boxes of 25. These 32g loads are a 2¾in cartridge that come in shot sizes 5, 4 and 3. The 4s and 5s are suitable for use in standard 2¾in chambered guns; however, the size 3 shot should only be used in high-performance steel shot-proofed guns, with barrels and chokes designed for steel loads. 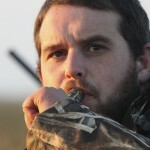 A versatile cartridge that can be used on a range of different duck species. RC is a well-known Italian cartridge manufacturer that has a range of different steel shells on the market, one of which is its High Performance steel loads. These are 2¾in 32g loads that come in shot sizes 1, 3 and 5. A standard duck load that will cover the shooter in most situations for a reasonable price. The Mammoth line of Gamebore cartridges pack a lot of punch. These 12-bore 36g, 3in shells come in shot sizes 1, 3 and 4. Gamebore uses the latest advances in steel powder technology to offer truly high-performance steel loads. These are not the typical shell for a flightpond but perfect for birds at a higher altitude, like on a driven day or the foreshore, though you should always shoot within the limits of the gun, the shooter and the ammunition. Good for high birds. The stopping power also makes them a great in-between cartridge when there is a chance of shooting both ducks and geese. Cheddite is an Italian cartridge imported by Malmo Guns. There is a range of cartridges available that include steel ammunition. Though the company is looking to develop a goose load in the future, it currently makes 2¾in duck loads. These are available in a 32g load with number 4 shot, and 34g loads in shot sizes 4 and 5. They come in boxes of 25. The different loads make them a versatile shell for a range of situations. At the time of writing, Gamebore is in the process of bringing out a new 2½in bismuth cartridge in 30g loads in shot sizes 4 and 5. Gamebore now produces its own bismuth using a unique process that creates superb-quality shot. There are no choke restrictions and the small cases allow them to be used through almost any shotgun. Gamebore says customers should not be fooled by the shell’s small size as the load still offers the performance quality that shooters have come to expect with Gamebore products. Like the Eley, a non-toxic versatile option for all types of duck shooting.